Refer to the Adobe Reader Help Guide that came with your Acrobat Reader or Acrobat Program. How do I close the video/audio windows in Acrobat 9 PDFs? How do I get out of a full screen? Simple click on the file name (in the above case, LensWork #93 Portable Edition.pdf) and then click on the Folder Task to the left where it says, "Extract all files." This will start the Extraction Wizard which will copy the file from the ZIP download and place the extracted PDF in the folder you direct it to. If you have a Mac computer, again you can simply double click on the ZIP file and it will automatically unzip the contents. How do I close the video or audio window in an Adobe Reader 9 PDF? With this update, security for multimeda files was changed. In previous versions a pop-up box asked you for permission to play the media file "once" or "always for this document." 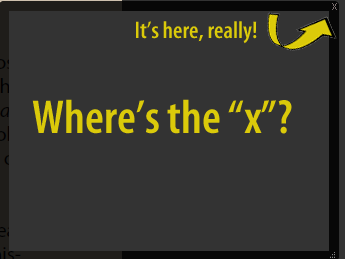 In Reader 9.3.x this box was replaced by a Yellow Message Bar asking the same question. THE YMB IS NOT VISIBLE IN FULL SCREEN MODE. Since LensWork Extended opens in Full Screen mode by default, you cannot give permission to play the audio and the link looks broken. Solution: to activate the YMB and allow media on the disk to play, EXIT Full Screen mode by clicking on the FULL SCREEN OFF/ON button on the bottom navigation bar. Click on an audio link, which should bring up the YMB and allow you to answer "always for this document" - then click the FULL SCREEN OFF/ON button to return to Full Screen Mode and proceed. You should only have to do this once per disc. Starting with LensWork Extended #87, media will be embedded in the PDFs and you will not have to grant specific permission to play those files. However, you will need to follow the above procedure when playing any previous LensWork Extended discs. LensWork Extended has been produced on DVD-ROM since issue #71 (July 2007). Therefore, a DVD-ROM drive on your computer is required for viewing LensWork Extended and all of our other current disc-based publications. You can click "YES" and our documents will open in FULL SCREEN MODE, although you will be asked to go through this procedure any time you open a new document. It is possible to eliminate this warning message entirely for all documents -- to do so, change the Full Screen Preferences. On the top menu bar click Edit, then click Preferences and then go to the Full Screen window. Uncheck "Current document only" AND "Alert when document requests full screen." You can change this back to having the full screen warning messages at any time. Sometimes the Auto Play becomes set on your computer so that any disc with MP3 files automatically open in your music player. Here is how to change your computer's Auto Play defaults so your computer will stop trying to play the audio on the LensWork Extended disc in your music player. If you're on a PC, go to "My Computer" in your Start menu. Under the section "Devices with Removable Storage", right click on your DVD-ROM drive. Go to "Properties" in the fly out menu. A window with tabs should open. Select the "Auto Play" tab. Click the radio button* for the selection "Prompt me each time to choose an action." Click "Apply" and "Okay." This will stop your computer from automatically trying to open your LensWork Extended with other programs. Now, when you put the LensWork Extended disc in your DVD-ROM drive, you'll need to select the option "browse the contents of the disc using the file browser." From your File Browser, select "Welcome-Start Here.pdf" and you will be able to view the contents of LensWork Extended using Adobe Reader 7. *Note: Selecting this radio button will also stop your music CDs from automatically opening in your music player. Prior to LensWork Extended #87 (March/April 2010) Adobe Reader version 7 or greater was required to view LensWork web or disc-based publications. For publications produced after February 2010, Adobe Reader 9.0 or greater is the minimum required version. If you have the full Acrobat Professional program, that too can be used. However, the updates from Adobe can be slightly different from time to time, so we use the Reader version numbers to describe the minimum requirements. If you are still using Adobe Reader Version 8 (released in Dec 2006) see this note. If you try to open an Adobe pdf file off this website and see an error message, the chances are you will need to upgrade to Acrobat Reader Version 9 or greater. In some cases, your internet browser will also need to be updated to the current version in order to run your updated Adobe Reader. The web and DVD-based publications require Version 9 or greater after February 2010. We have designed these PDFs to take advantage of the powerful audio and video capabilities of Adobe Reader Version 9 plus. If your version of Adobe Reader is version 9 or less, you will need to upgrade to open the current PDF files. Attempting to open these files with earlier versions of Adobe Reader will result in failure to open or play properly. If you double click in Adobe Reader, navigation may be confusing. There is a User Preference you can set in Adobe Reader 7 will help things be less confusing. Normally, in Adobe Reader a SINGLE CLICK of the left mouse button will activate a link and take you where you want to go. Sometimes though, by habit you might be doing a DOUBLE CLICK to activate a link like is often the case in Internet Explorer. If you unconsciously do a DOUBLE CLICK in Adobe Reader, it will actually do two single click commands and you may end up in the wrong place! As you can see from this dialog box in the EDIT | PREFERENCES area, it is possible to setup Adobe Reader to do a "Left click to go forward one page and right click to go back one page." This is totally up to you as a user preference, but we find it less confusing to disable this function as seen below. With this function disabled, an accidental double click on a link doesn't not jump you to the wrong page. Mac users will find this menu under ADOBE READER | EDIT. If you try to open a link and receive a "FILE NOT FOUND ERROR", email us at techsupport@lenswork.com. If the page you are viewing has a CLOSE or QUIT button, and you are in Adobe Reader just click on it to close the file. If you are viewing a PDF in a browser, the close buttons DO NOT work. Click the back button to go back to the LensWork website. If the page you are viewing does not have a CLOSE or QUIT button, press Control-W (press and hold the Control key on your keyboard while simultaneously pressing the W key on the keyboard) and the file will close. For Mac computers, press Command-W. If the close button doesn't work, and you are using Adobe Reader 8, press Control-W (press and hold the Control key on your keyboard while simultaneously pressing the W key on the keyboard) and the file will close. For Mac computers, press Command-W. Many of our publications open in FULL SCREEN mode. To escape FULL SCREEN MODE, press the ESCAPE key, or use the FULL SCREEN OFF/ON button at the bottom of the screen. Reader 9.0 Insructions: Click here. Reader 7 and 8 Insructions: If the following dialogue box appears when you click on a video or audio icon, select "Play the multimedia content and add this document to my list of trusted documents." This will tell Adobe Reader that our multimedia files are always okay to open. If you are new to Adobe Reader, we've prepared a short tutorial that will guide you through the navigation controls of an Adobe Reader file. This navigation tutorial is found at http://www.lenswork.com/enhanced/acrobattips.pdf. If the pages aren't opening, display as blank white pages, or partially display, you are probably viewing the files with the Preview program on your Mac instead of with Adobe Reader (OR you are using an older version of Adobe Reader to open the files.) Be sure you have Adobe Reader 9 or greater downloaded on your computer. To open LensWork PDFs, make sure you first open the Reader program itself. Then, use the File>Open menu option on the toolbar to browse for the LensWork .pdf you want to open. YOU CANNOT SIMPLY USE FINDER TO LOCATE THE FILE, AND CLICK TO OPEN. 1. Select the PDF file you have downloaded. 3. Set "Open With" to Adobe Reader 9 or greater. If your pages are displaying for a few seconds, and then going on to the next page, displaying and continuing on then your Adobe Reader is set in advance mode. To disable advance mode, go to Edit/Preferences/Full Screen and uncheck the box next to Advance Every _ Seconds. Click okay and you can now navigate the PDF using our navigation buttons. - Make sure your computer has speakers and they are turned on. Can you play audio from other sources? Audio and video files have failed to play for a few Mac users. One conflict appears to be an Acrobat and Quicktime compatibility issue. If you have audio problems, you will probably want to update your Adobe Reader to the latest version. As of Reader 9.3 there were changes to the audio permissions alert message that make the audio links appear not to work -- see note. If your settings are different (some applications require 48KHz/24bit sound) use the drop down menu to change them back to 44.1KHZ and 2ch-16bit. Depending on the speed of your computer and disc drive, you may need to wait a few seconds after clicking on the Play Video icon for the video to start. This is normal. The faster your computer and, in particular, the more memory the computer has the faster the video will begin playing. We have seen that certain ATI and Radeon video cards will start an Adobe Reader video with a white screen that never changes. This is corrected by simply dragging the window a small amount (even just a few pixels) in any direction. The video will then play normally. Starting the video a second time, will also start it normally. Click on START | ALL PROGRAMS | ACCESSORIES | ENTERTAINMENT | VOLUME CONTROL and check that the volume is up for playing WAVE/MP3 files and that it is NOT muted. Check to see that the volume of your speakers is turned up and that your speakers are plugged in and working properly. If your preferences aren't set up correctly, every time you click on a hyperlink that goes to a website, a pop up window will ask you if you want to open the web page in Adobe Reader or in a browser such as Internet Explorer. We prefer opening web pages in the browser as to not disrupt the user flow in Adobe Reader. In order to make this pop up window go away, you'll need to go to EDIT | PREFERENCES from the toolbar window. From fullscreen mode to get to the toolbar, press ESCAPE. Then, select Web Capture and change Open Web Links to In Web Browser.